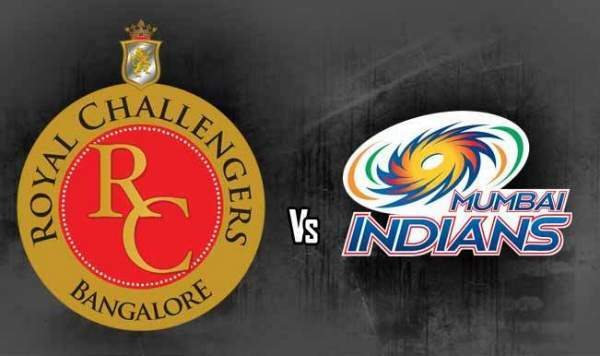 MI vs RCB live streaming will be available online. You can watch live cricket match today on Hotstar and Jio TV app. The telecast of Mumbai Indians vs Royal Challengers Bangalore will be provided by the official broadcaster, Star Sports network. It is the 14th game of the ongoing Indian Premier League season 11. Mumbai Indians will welcome the visitors, Royal Challengers on their home ground, Wankhede Stadium on Tuesday, April 17, 2018. So far, the hosts have played 3 matches in 2018 IPL, but have won none. While, Bangalore is also not in a very good form either. Prior to this day, they have played three, but won only one. On the whole, none of the two teams have got excellent start to their campaign this year. Today, we can get to see an exciting match as both the teams are in desparate need of victories. They need it to bounce up in the top four in order to qualify for the next round. RCB is led by Indian skipper Virat Kohli, who seriously contributed in the last game. It did by showing his awesome class and reflected his potential when it comes down to chasing a big total. However, the team lost the match. But, we got to see Kohli hitting brilliant strokes and made another half century. On the other hand, the visitors’ skipper Rohit Sharma hasn’t sufficiently contributed this season. The aggressive style batsman still has to get his touch back. Today’s match of MI v RCB will start at 8 pm IST while the toss will take place half-an-hour before the match kicks off, i.e., 7:30 pm IST. The broadcast will be live on Star Sports 1 / HD and Star Sports Select 1 / HD in English. While, the Hindi commentary will be available on Star Sports 1 Hindi / HD. If you can’t watch it on television, then you can catch it via online streaming portals. You can stream it online on Hotstar – via app and website, Jio TV app, and AirTel Live TV app. These are the official broadcasters and streamers for the edition.